These days, the cure rates for bowel cancer are 70 to 80 per cent. Colorectal surgeon Greg Makin says recurrence rates of bowel cancer are much lower than they used to be due to advanced surgical techniques, combined with the use of chemotherapy and radiotherapy. “The period from diagnosis to recovery can be stressful and lengthy, but the long term goal of treatment is cure,” Mr Makin says. Most bowel cancer surgery performed is laparoscopic surgery, also known as keyhole surgery, in which surgery is performed using instruments and a camera through a small incision. There are short term advantages to having laparoscopic surgery, including smaller wounds, fewer heart and lung issues and a speedier return to normal life and work. Mr Makin says as a general rule, cancers that develop on the right side of the body are easier to treat. “These are a bit more forgiving – patients aren’t as likely to need a stoma, have as much bowel dysfunction or join leakage,” Mr Makin says. There are distinct differences between the surgery for, and recovery from, colon cancer and rectal cancer. After colon cancer surgery, most patients fully recover in about three months and for rectal cancer patients, the whole treatment process can take about 12 months. 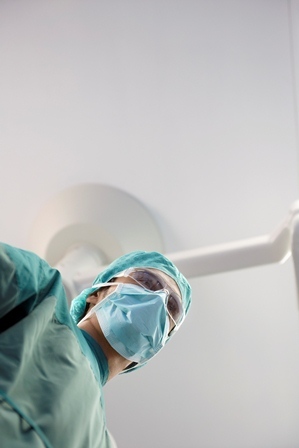 A significant percentage of patients will need postoperative chemotherapy after surgery. Rectal cancer is more challenging for surgeons as they need to operate in a very narrow pelvis, particularly in men. It is also more complicated in terms of recovery. Your hospital stay will range from four days to weeks, depending on whether there are complications. How can you reduce your risk? Is chemotherapy after surgery required? Inside health is an official magazine of St John of God Murdoch Hospital. For more information about hospital services, please use the links at the top of this page or visit www.sjog.org.au/murdoch.